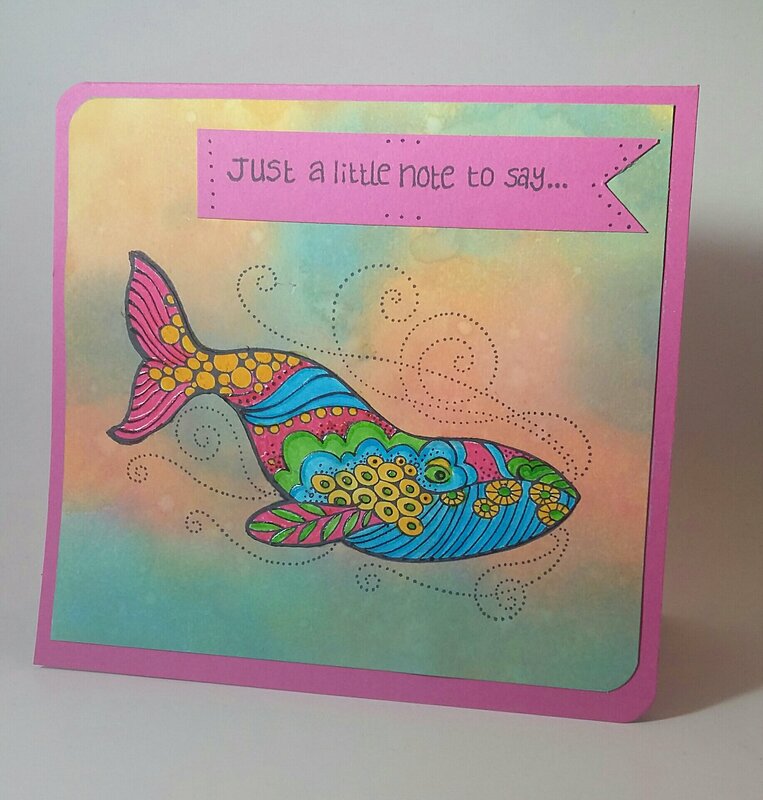 This stamp is on its way to becoming one of my favorites: Stylized Whale by Stampendous. The background was created using Ranger Distress Oxides. I stamped the image once, directly on the background with archival ink. Then I stamped the image again on a white sheet of paper and colored with Tombow markers. After giving it a good fussy cut, I glued it to the background. Sentiment (from Hampton Arts) added and done! If you want this stamp for yourself, here is the link to Stampendous Stampendous Stylized Whale Stamp Be sure to check out all their other stamps while you are there!